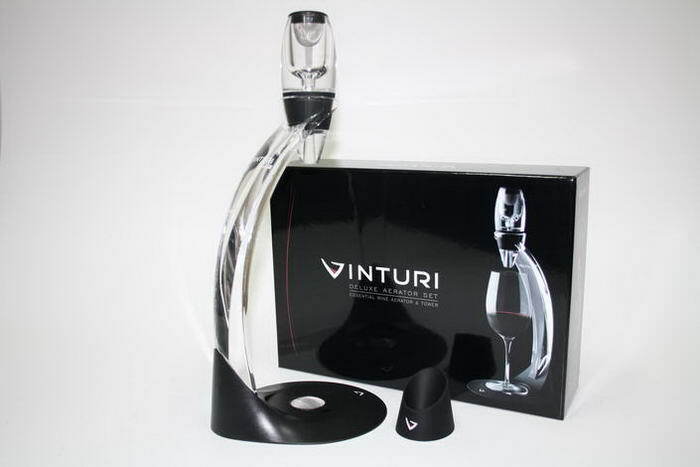 Vinturi Deluxe Red Wine Aerator Gift Set. Vinturi wine aerators instantly aerate your glass of wine for better bouquet, enhanced flavors and a smoother finish. 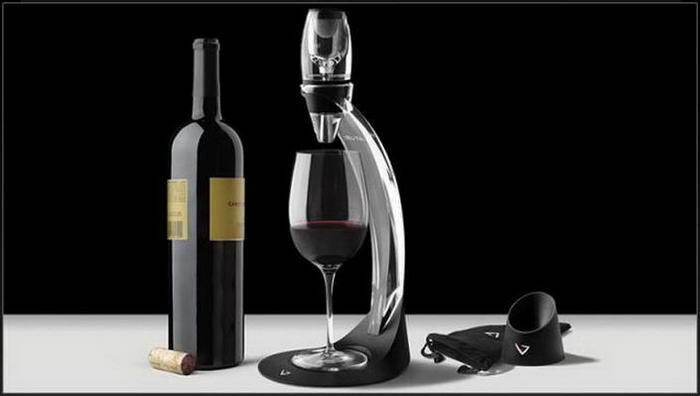 No more waiting for your red wine to breathe in a decanter! Simply pour wine through the aerator into a glass. The patent-pending design accelerates wine aeration, allowing wine to breathe properly in no more time than it takes to pour a glass. Elegant stand allows for hands-free use of the aerator. Simply place the aerator in the stand, position your glass underneath, and pour red wine through the Vinturi aerator into your glass. Enjoy immediately! Whether you are a wine enthusiast or just an occasional drinker, you will be surprised at the difference a Vinturi makes to the taste of any bottle of red wine. You enjoy all the benefits of aeration, without having to wait for wine to breathe in a decanter. Each aerator has been specifically designed to enhance the bouquet, flavors and finish of red wine. Makes a great gift, too! Easy to clean. Includes: Red Wine Vinturi Hands-free acrylic stand Wine filter Vinturi no-drip holder Transform your glass of red wine instantly with the Vinturi Deluxe Red Wine Aerator Set.